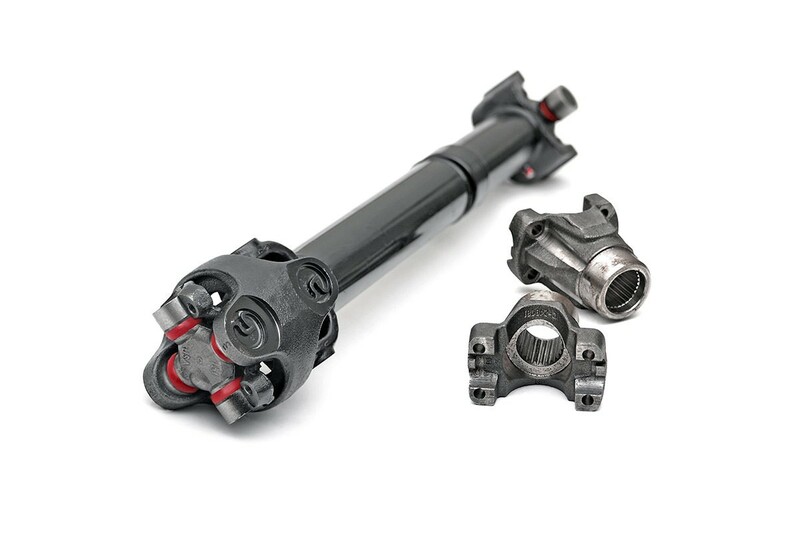 Eliminates contact between the stock drive shaft and oil pan on automatic transmission models. Grease fittings are out of the way of the transmission oil pan meaning you get grease to the joints that need it and not all over the bottom of your Jeep. ONLY fits Dana 30 front axle models.